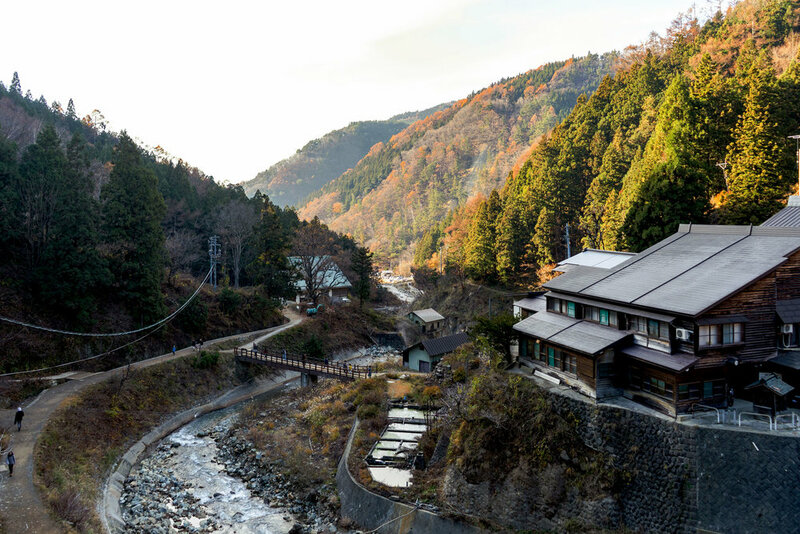 Tucked away in the mountains of northeast Nagano prefecture is Yudanaka, Yamanouchi, an onsen hot spring getaway. I visited the area while on a trip around Nagano in November 2018, and this was the second stop after traveling to Matsumoto city. 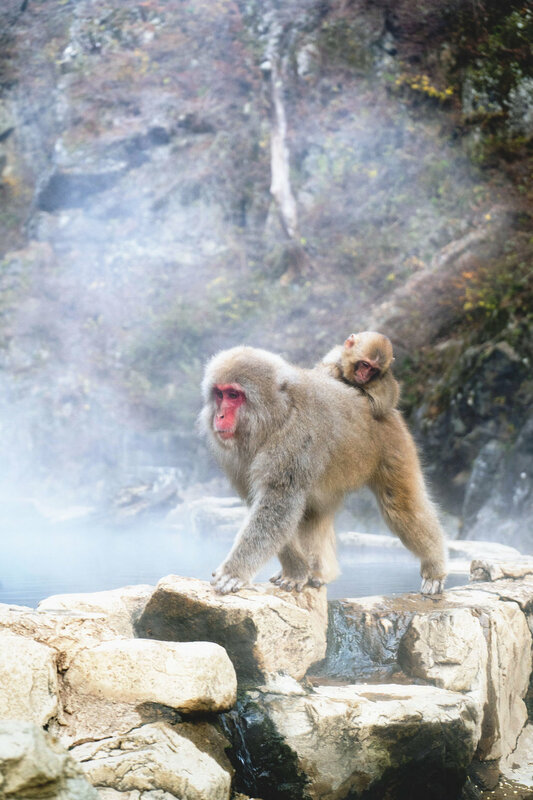 People mainly visit the area to either see the famous snow monkeys that take a dip in the onsen during the snowy winter, enjoy the hot springs themselves, or go skiing. There are 3 trains that go between Nagano and Yudanaka stations. From Nagano station, where the Shinkansen bullet train from Tokyo makes a stop, you can catch either the Snow Monkey line (it’s actually called that), Nagaden express or local to Yudanaka station which is at the end of the line. Here’s a timetable. Yamanouchi is separated into two main areas. There’s the Yudanaka area next to the station and the Chuo or “central” area a bit further in. We stayed at a hostel in the Yudanaka area. High Quality Hostel Aibiya is run by a family friend’s former student and his wife. They both speak good English and the hostel itself has a very homey feel. A converted older building only a few minutes from Yudanaka station by foot, Aibiya has shared rooms and private rooms that share a bathroom, and a deluxe suite with its own toilet and bath. There’s a shared hangout space on the first floor as well as a kitchen area where you can make yourself breakfast with food that they provide. I’d recommend considering this hostel for anyone visiting the area, it’s quiet and they’re very accommodating. We caught a taxi from Yudanaka station to one of the area’s main attractions: The snow monkeys. There are 2 entrances to the park: Kanbayashi which is a 30 minute walk that has a cafe (see the end of this blog) near the entrance and a 15 minute walk that’s a little rockier of a path. We went in on the first, exited on the latter. Visiting in late November, it wasn’t snowing yet so the monkeys were just hanging around the hot springs instead of soaking in them. The park has a livestream video feed to check the current conditions. There are actually a lot of monkeys. The park’s staff come around and feed them, keeping them in the area in large numbers. They pretty much ignore the tourists, walking right around them and paying them no mind at all. After our monkeying around, we called a taxi and got brought to the central part of town. 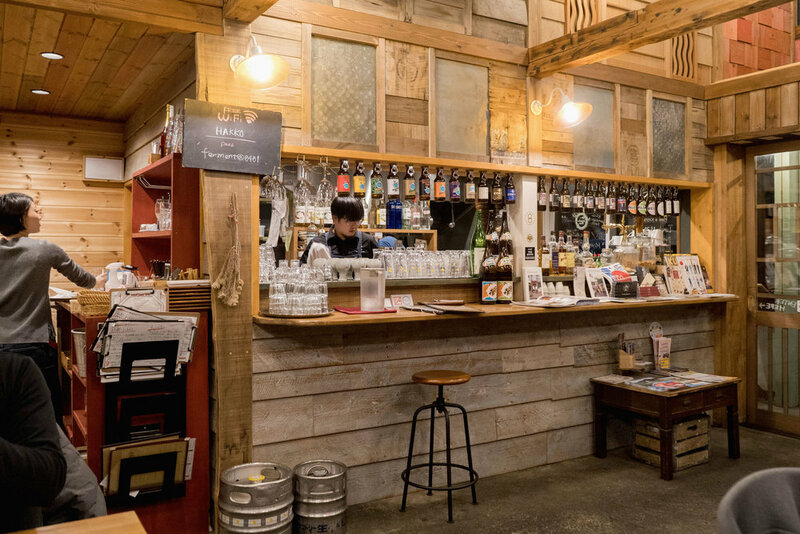 There are two areas in the Yudanaka, Yamanouchi area: The Yudanaka station area where our hostel was and the Shibu Onsen area. Shibu Onsen is the bigger, main area, with a lot of ryokans and onsen hot springs spread around old, narrow streets. Each onsen has a number, and a lot of visitors go on an onsen-hopping tour, jumping from one to the next. You’ll see them in their bath wear walking the streets. 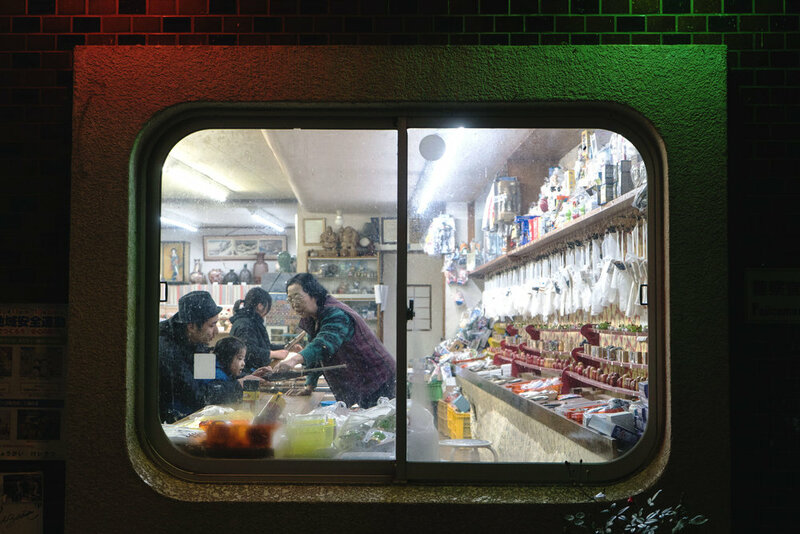 There are some interesting places to check out, from small, old shops selling Japanese manju pastries to free onsen foot baths to old shateki toy rifle ranges that are hard to come by nowadays. A young girl plays at an old, shateki toy rifle range. From Shibu Onsen, we walked back to Yudanaka. It’s walkable but the sun had set by 5:30PM which was when we headed back. There are some really dark portion of the walk and it’s quite some distance, especially if it’s in the middle of a cold winter, so I recommend walking while it’s still lit. Taxis are hard to come by as well since there’s only a few cars servicing the entire area. The Yudanaka station area is smaller but more convenient as it’s minutes from the station. Our hostel, the High Quality Hostel Aribiya was there, as well as a couple of onsen, including Yudanaka Onsen Yorozuya (Yoroduya) which I went to. Yorozuya onsen has a large bath inside and connects to one outside that is placed in a rock garden. It’s a great place to relax in some peace and quiet amongst nature. Unfortunately, our vacation ended abruptly due to a medical emergency. I enjoyed what I saw while I was there though, and wouldn’t mind going back sometime. Locally grown grilled pork pickled in sake lees. Stir fried beef & pork with shoyu-koji topped with mustard mayonnaise sauce. Locally grown free range herb-fed chicken topped with shoyu-mame. Right down the street from High Quality Hostel AIbiya is Hakko, which is owned by the same owners. 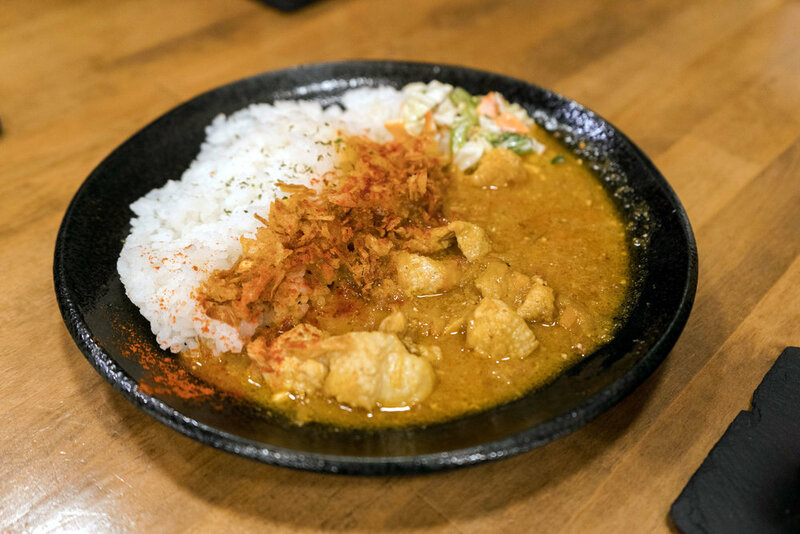 Hakko specializes in using fermented foods like miso, soy sauce, sake, yogurt, bread, pickles, malt and cheese. 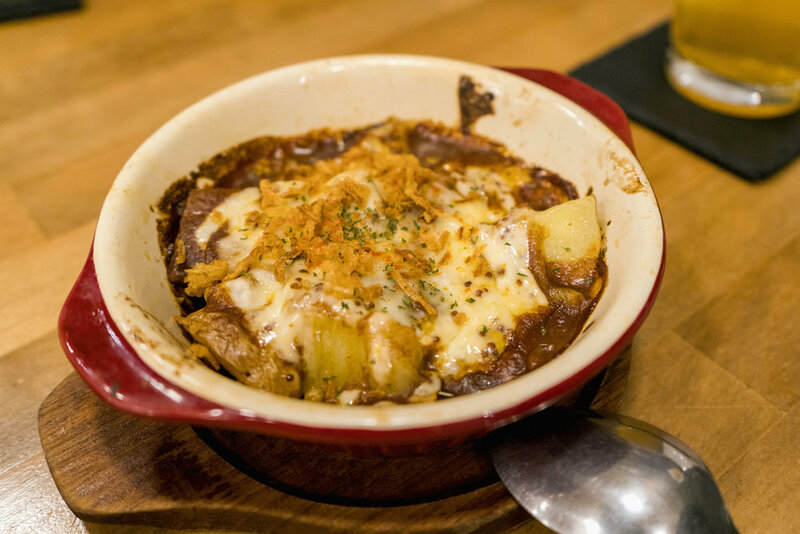 A lot of their dishes uses local ingredients, and they feature local craft beers from Nagano prefecture as well. 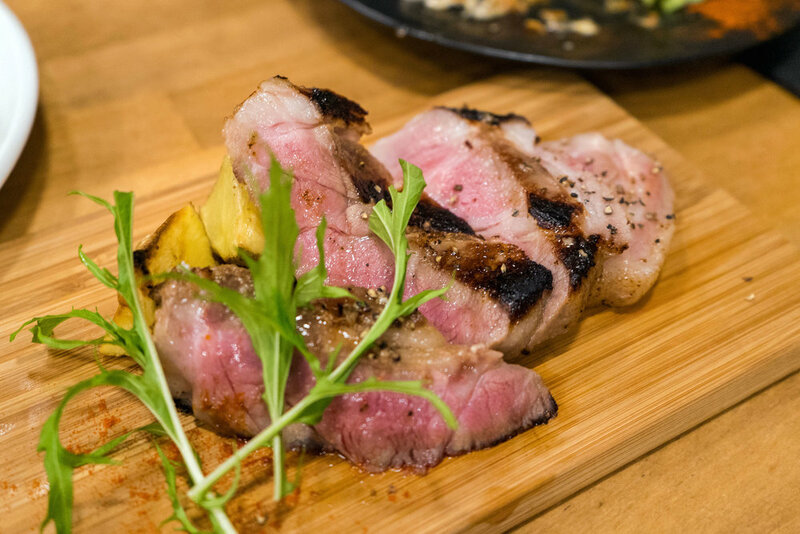 Dishes like their locally grown grilled pork pickled in sake lees stood out. Surprisingly good food for a tourist spot cafe. Enza is at the Kanbayashi entrance to the Jigokudani Monkey Park so it’s a convenient food fix before or after seeing the monkeys. This bowl of local Zenkoji-miso chicken ramen hits the spot on a cold day.